Guardian Avionics is pleased to announce that it has received the first ever FAA approval to install manufactured products into certified aircraft as “Non-Required Safety Enhancing Equipment” (NORSEE) under the requirements outlined in PS-AIR-21.8-1602. 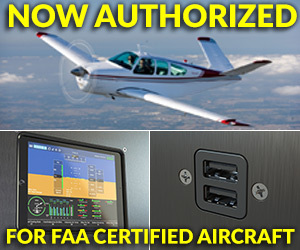 This new authorization allows all models of the popular Guardian Avionics iFDR Panel Mount line for iPad and iPhone and all iFDR Power 150 and 250 USB Power Supplies to be installed in all CFR Part 23 certified General Aviation aircraft and Part 27 and 29 normal and transport category rotorcraft. 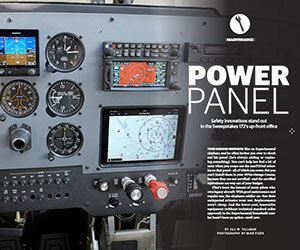 Guardian Avionics is honored to be featured in the article "Power Panel" by Jill W. Tallman in the September 2016 issue of AOPA Pilot, the official magazine of the Aircraft Owners & Pilots Association. The article details the reimagined panel design for the 2016 AOPA Sweepstakes Cessna 172 as restored by Yingling Aviation of Wichita, Kansas. The Guardian Avionics iFDR Panel Mount for iPad Mini is a prominent part of the new panel for the Cessna, placed in the center, directly under the radio and GPS stack! The article goes into great detail about the advantages of the iFDR Panel Mount!